On Saturday I attended the FOX’s Cause for Paws taping in Santa Monica and the love for rescue dogs was nothing short of infectious. As the first event of its kind set to air on Thanksgiving night, the show is aimed at encouraging people to adopt rescue dogs- something I’m a huge advocate about. Adoptable dogs will be featured throughout the broadcast, along with inspirational stories about rescue dogs and the people who dedicate their lives in helping rescue them. Hosted by Hilary Swank and Jane Lynch, I personally gaurentee you will be delighted and entertained by this national prime time event. Who knows, you may even spot your next forever friend eagerly waiting for you to take him/her home. During the broadcast, if you notice a dog whom you’d like to learn more about and or adopt, click here to fill out an application. If interested in donating towards the cause, click here. Every little bit of exposure helps push the important message of this cause so I hope you will all tune in Thanksgiving night at 8/7c on FOX! Save a life- DON’T shop. ADOPT! 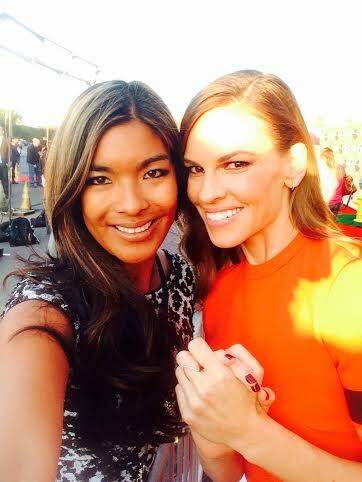 Hilary Swank and Jane Lynch host FOX’s Cause For Paws. Airs Thanksgiving night 8/7c on FOX! 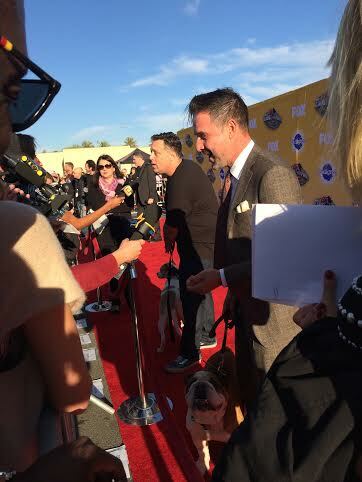 I was so humbled by the tremendous amount of celebrities who showed up to support the importance of rescue dog adoption. My kind of celebrities! All the major news and entertainment outlets lined up, including yours truly, in hopes of getting Q&A with the celebrity attendees. Let me just say my brain was in Hollywood overload. 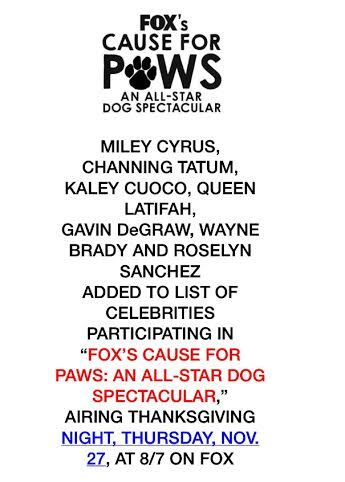 I’ve never seen so many A-listers in one place to help benefit rescue dogs. I was freaking out with joy! 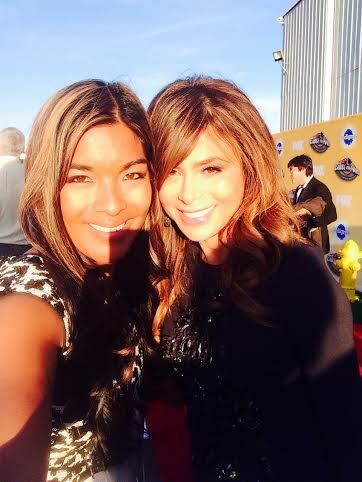 I managed to get up close and personal with David Arquette, Sharon and Kelly Osborne, Kathy Griffin, Rebecca Romain, Jerry O’Connel, and the dog whisperer himself, Caesar Millan looking dapper as usual. .
To make things even more memorable I met one of my all time favorite pop icons, Ms. Paula Abdul and I had to get a selfie with her!!! It really doesn’t get any cooler than that, right?! She is so incredibly sweet and even more beautiful in person. I’m not even going to pretend like I wasn’t freaking the heck out because I was… Sunday she even retweeted our selfie on her official Twitter account. I lost my marbles over that. Perhaps the biggest highlight of my night was catching up with my Petco Foundation buddy and the host of FOX Cause for Paws, Ms. Hilary Swank. It wasn’t an easy capture, as I had to compete with CNN, Access Hollywood and Entertainment Tonight for some Q&A with the two time Oscar winner. Somehow I managed to thread my way in-between the bigger network camera crews and landed a front and center visual of Hilary. When it comes to dog loving celebrities, I’m that photo journalist who will jimmy my way through any crowd of media and paparazzi, to get the shot. No shame in my photo game. As Hilary made her way down the line, I was hopeful she would recognize me from the Petco Foundation Gala where she accepted the Honoree Award last year in San Diego. Yep that’s right- she remembered me! It was my second time meeting her and she is more beautiful every time I see her. We ended up chatting for a while about my blog, her rescue foundation the Hilaroo Foundation, and Instagram… So, I guess if you wanted to put a label on my relationship with Hilary, you could say that we are BFF’s. 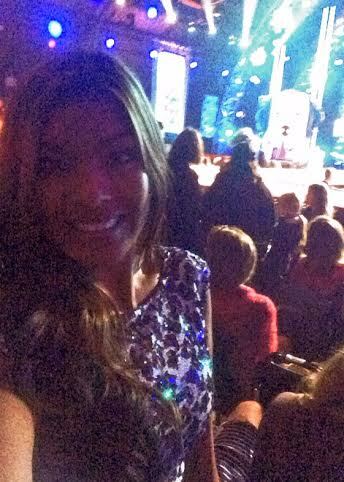 After living it up on the red carpet, I made my way inside just in time as the show began. The entire extravaganza was simply extraordinary. 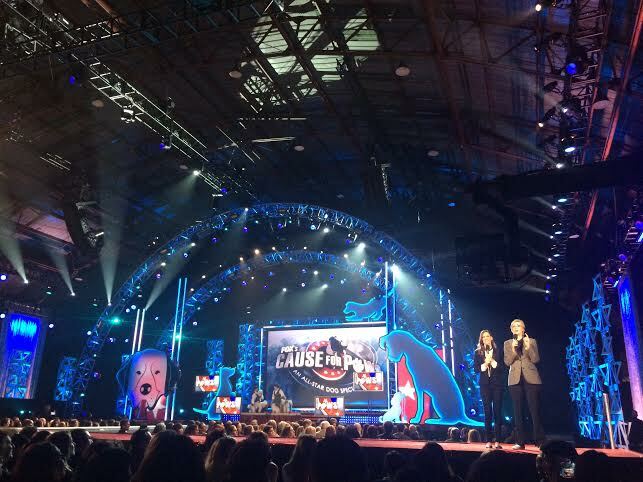 Hilary Swank and her co-host Jane Lynch did an amazing job MC’ing. They both were incredibly funny and entertaining. The awesome list of celebrity presenters introduced an adorable line up of adoptable rescue dogs, including San Diego’s very own bonded pair Bo and Toby, along with the darling and very resilient paraplegic Chihuahua Sparky. Who if not adopted by the end of the shows television debut, will likely be mine. Sparky is just too darn cute. I’ll take that dog! … and his little wheels too! 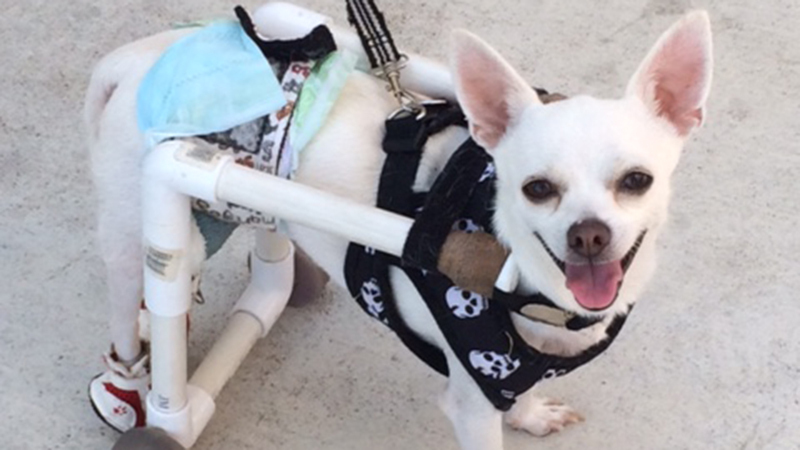 Sparky has proved to be a resilient little guy who loves to play with toys and can outrun you on his custom set of wheels. A BIG thank YOU to Hollywood producer and dog enthuasist Michael Levitt for creating and producing this fantastic show. Known as an American television producer of award shows, reality shows, game shows and specials, he is also recognized for his efforts as an animal advocate. Currently residing in Los Angeles, Ca. Levitt continues to make it a goal to incorporate his passion for animal rescue into his television projects. Thank you Micheal. You’re a hero! We hope you will all tune in Thanksgiving night as I’m sure you will be in front of the tube anyway, myself included, with a loosened waistline waiting for the tryptophan to kick in. LOL. 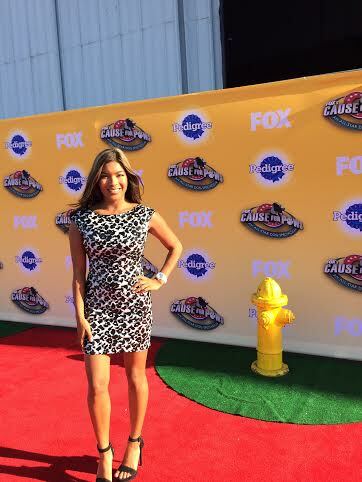 FOX Cause for Paws airs Thanksgiving night at 8/7c on FOX TV! Co-hosted by Hilary Swank and Jane Lynch, FOX’S CAUSE FOR PAWS: AN ALL-STAR DOG SPECTACULAR is an uplifting special for the whole family and an entertaining celebration of rescue dogs and the joy they bring to our lives. It will feature inspiring and funny stories of rescue dogs, honor the best viral videos starring rescue pups, include games featuring dogs and celebrity participants and feature stories honoring people who dedicate their lives to rescuing animals in need. The special will include awards and celebrity presentations showcasing a variety of canine categories, and viewers will also be provided with information regarding adoptable animals in their local areas. 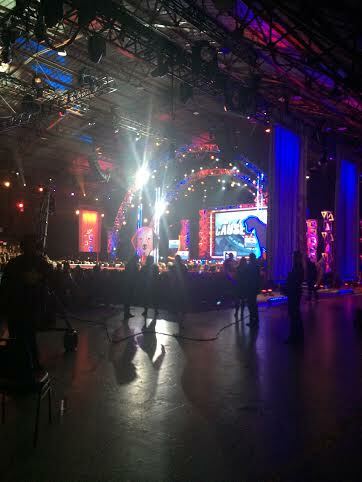 Celebrities participating include Paula Abdul, David Arquette, Wayne Brady, Kristin Chenoweth, Kaley Cuoco, Whitney Cummings, Miley Cyrus, Gavin DeGraw, Josh Duhamel, Fergie, Max Greenfield, Kathy Griffin, Julianne Hough, Randy Jackson, Scarlett Johansson, Kesha, Miranda Lambert, Queen Latifah, Wendie Malick, MASTERCHEF JUNIOR contestants Sean, Mitchell and Natalie, Cesar Millan, Olivia Munn, Olivia Newton-John, Jerry O’Connell, Kelly Osbourne, Sharon Osbourne, P!nk, Amber Riley, Rebecca Romijn, Emmy Rossum, Roselyn Sanchez, Channing Tatum, Jenna Dewan Tatum and Betty White. Tune in Thanksgiving Night, Thursday, Nov. 27 at 8/7c on FOX! 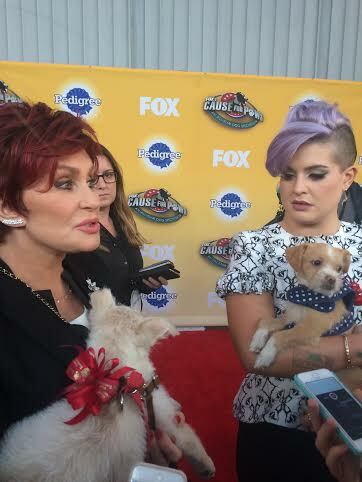 Previous STARS ALIGN TO HELP DOGS FIND HOMES AT FOX’S CAUSE FOR PAWS! Wow, that is an amazing event that you attended! 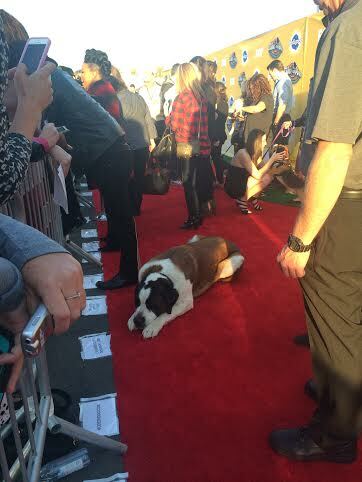 So glad to see that many celebrities came to support rescue dogs!